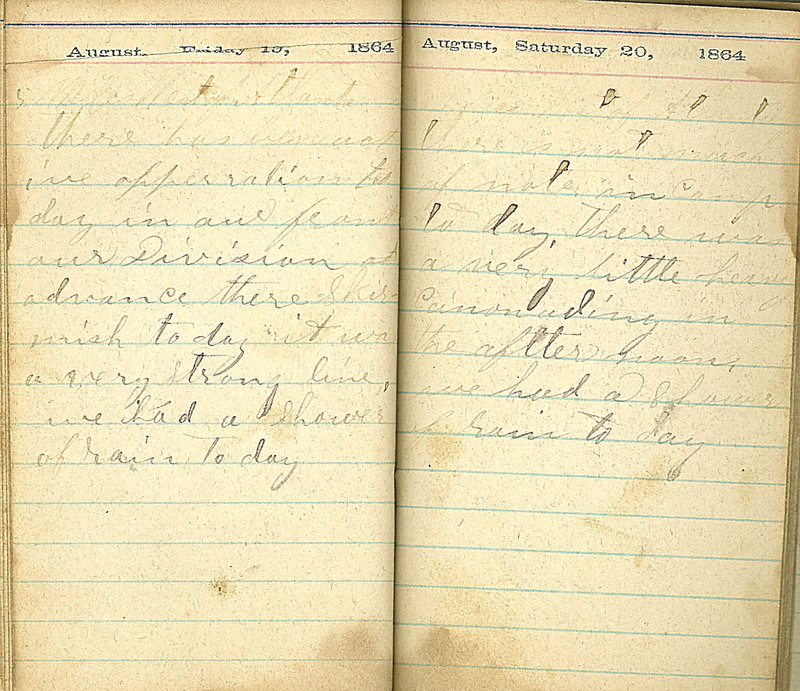 August Friday 19, 1864. 5 Miles West of Atlanta. There has been not one opperration to day in our front our Division advance there skirmish to day it was a very strong line we had a shower of rain to day August, Saturday 20, 1864. 5 Miles West of Atlanta. There is not much of note in camp to day. There was a very little heavy canonading in the after noon we had a shower of rain to day.